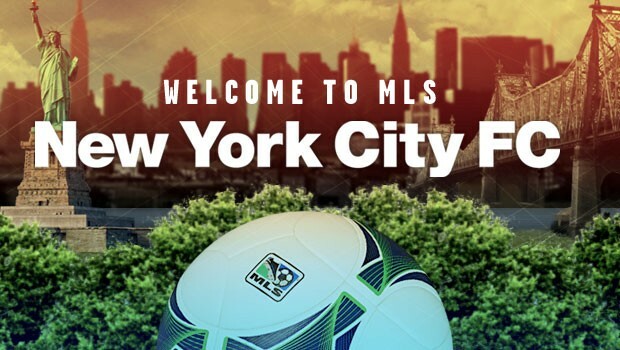 New York City FC will be MLS's 20th, and most expensive franchise. After 17 years of trying, the league finally achieved their goal: a second team in the New York metro area. Instead of dwelling on details better covered in other pages, I will instead devote this post to the significance of the club and what it may mean for the league and players in this country. The New York area is home to around 19 million people. Just driving through there you get a sense of the enormity of the population, not to mention its worldly inhabitants. You can hear a dozen languages at every street corner. Thus, New York acquired multiple teams in every sport, including big names like the Giants and Jets in American football and the Yankees and Mets in Major League Baseball. So why should soccer be any different? At one point it was thought that the New York Cosmos would come back to the big scene. What with the inclusion of Pele as a backer and managing by Giovanni Savarese and Carlos Llamosa. But Dom Garber and MLS directives were very good at keeping the secret about who would build the team, what it's brand would be and where they would play. Enter Manchester City and the New York Yankees. Suddenly a big name in soccer and a major brand in world sport enter the scene and establish the team. Significant, because although other squads have "training" sessions with big teams (Real Madrid with Real Salt Lake), and Chivas Guadalajara might consider Goats USA to be their satellite team, adding a European squad and the Yankees is much more impressive. The cost alone, at $100 million, benefits the league and players and sets the stage for even more greatness in the American soccer scene. So how do we take this latest step in MLS? The league has proven that it has what it takes to build new teams and followers. One must only look at the Pacific Northwest, the Canadian teams, the new stadiums being built and the crop of homegrown players and big name stars. A second New York team adds a subway derby, a cross-town rivalry better than Chivas-Galaxy ever was. In fact, Chivas might re-brand and/or move out of the city. In reality, capitalizing on the Mexican population and the biggest brand in Liga MX wasn't enough to maintain attention or build a bigger fan base. New York FC must learn from this. They should have their own stadium and bring big name players. And maybe, just maybe, Red Bull Arena and the NYCFC stadium might sell out every match the way the Sounders and Timbers do.